This beautiful and colorful challah cover from the Gallery Alexander collection is made from terylene fabric. 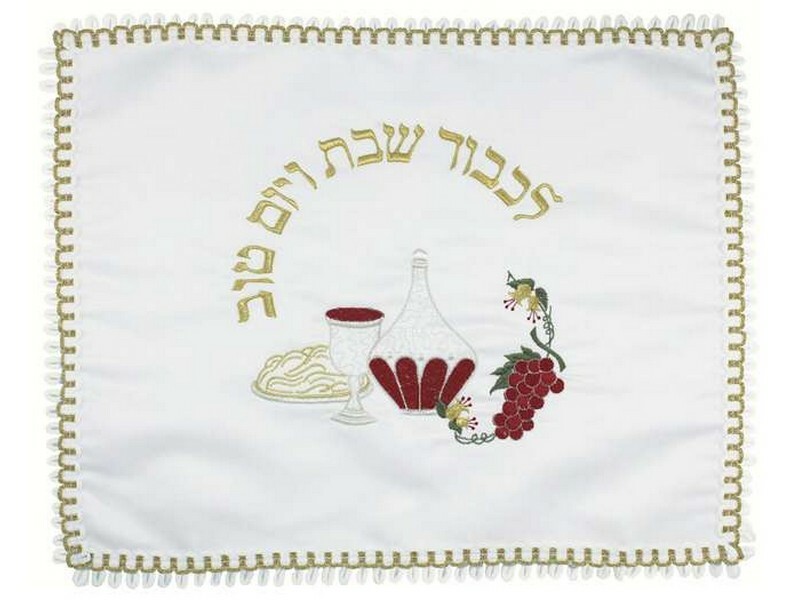 The challah cover is decorated with images of a challah bread, kiddush cup, wine decanter and grape cluster, all in bold color. The Hebrew words “Likavod Shabbat V’Yom Tov”, which means “In honor of Shabbat and Yom Tov”, are embroidered in a semi-circle above the images.